I CAN’T HARDLY BELIEVE IT, but this Tuesday, March 20, marks the third anniversary of A Garden for the House. To celebrate, I’d like to give away one of Ricki Carroll’s fab cheese-making kits. Who’d like a chance to win it in a random drawing? It was Ricki Carroll who introduced me to the pleasures of homemade cheese. Her kit contains enough vegetable rennet and non-gmo citric acid to make 30 batches of mozzarella. Also included is a thermometer and a large piece of high-quality butter muslin. Butter muslin is used for straining a number of cheeses, including the Greek-style yogurt I wrote about last week. 2. In the comments field below, tell me which topic at A Garden for the House interests you most. Food? Gardening? Domesticity? Perchance all three? The drawing expires on Friday, March 23, 2012, at 11:59PM. As always, I’ll use the little number-gadget at Random. org to select a winner. The winner will be notified by email. Happy blogiversary, Kevin! We’re so lucky to have you and our gardens are all better for it! Love your blog! My favorite posts are about gardening and food. I’ve just recently found your blog, but I’m really enjoying it. I’m very comfortable with building a perennial garden, but I’d like to expand my abilities. Your blog really helps me feel more comfortable and informed. I like your homemade recipes as well. Oh, I already get your email newsletter. I’ve enjoyed everything I’ve read on your blog! Gardening! Food! Love your words of wisdom! Love all of the gardening tips and food info on your site. I’m still new to the site but love everything I’ve read. I love all your blog posts, Kevin, but my favorites are the gardening tips. You are my inspiration, and I mention you to my friends! I subscribe to your newsletter, follow you on Twitter, and like you on Facebook. LOVE LOVE LOVE the gardening info. A “from the garden to the table/food” topic would be cool. I love food and am learning to garden and be domestic..Thanks for all the fabulous tips! xoxo..Congrats on 1 year! I come here for the gardening, but I enjoy the food too. I enjoy all the topics. I stumbled on your blog looking for info on African Violets. I adore African Violets. I found this site through a gardening tip then found the cheese making recipes. I made my first batch of yogurt this morning . I’m already a subscriber – albeit for just a few weeks! I like your gardening and food posts best. Happy Blog Birthday to you – I hope there will be many more posts for us to enjoy in the days and years ahead! I can’t remember how I found your site, but it feels like it is written by a kindred spirit! I have it on my RSS feed to my google page so I unsubscribed from the newsletter because I always see when there is a new post! I’ve been enjoying all the posts, but I think I did get here via the garden aspect. You don’t knit, do you? Love this blog!…I love the recipes and the garden tips!.. 1st discovered you on Facebook & have been getting your email newsletters for a little while now. Really enjoy the recipes & practical gardening info. As a new home owner, I am looking forward to creating my first garden this spring. I have found your blog very helpful. I am an artist who loves Color, gardening ,and growing and creating natural foods. I love animals,and I love cooking and baking and feeding people. I really enjoy reading your recipes section, so please add more to that! I found your blog while looking for gardening info and subscribed for the interesting and easy to understand Food, Garden and Domesticity postings. I am new to the blog and am enjoying reading through your previous posts. Thank you for the wonderful inspiration. Me! Me! Put me in the drawing! I love all of your blogs, but I am always excited to see a gardening article! I have learned a lot from you. You gave me the courage to try winter sowing – which kept me happy all winter long! You have made me reconsider growing potatoes. I always thought that they were inexpensive to buy and take up so much space to grow…why bother? But you have made it seem not only productive, but fun. And someday soon, my woods will become a woodlands garden! I found your blog through pinterest , and love it all! My favorite posts are the recipes, and the house tour. I adore your beautiful home! Happy Anniversary!I really love the gardening articles. They are very informative. Thanks so much for taking the time to share. We love to read about your gardens most – breads are a close second. You do a great job with this site – keep up the good work! Your gardening articles are my favorite! All three please! A friend shared your blog on vinegar on weeds and I have been hooked since. I have been talking about making cheese forever but never found the rennet locally. This cheesemaking kit would be perfect and I could serve it at my 50th birthday celebration the end of March! Hello Kevin. Happy Anniversary, I must say LUCKY US! What I love most about your blog…..all of it!!! You are living my dream and thru your blog I get to peek in everyday! Beautiful house and gardens the best food and ideas. Love it all, keep inspiring us please! You are my new hero! I am loving your site and especially the gardening and cheesemaking details…my son and I are going to make the little milk jug greenhouses today! I just read about your mozzarella and I am in awe… 🙂 thank you and thank you to my mom for sharing your site with me! I initially found your blog last Fall when researching the dreaded red humped caterpillars that showed up on my apple trees. Since that time, I have checked in on a regular basis and like all aspects of your blog. I love baking bread and one of these days will have to get a pullman loaf pan to try that recipe. 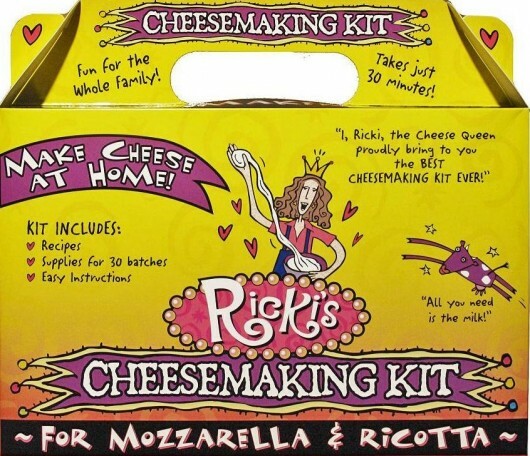 I’d love to make mozzarella and have heard lots of good things about Rickis. Thanks for all your inspiration and advice! Congrats Kevin! Your blog is the best! I love the monthly to do list and all you helpful advice on all topics, hope to bump into you this weekend at the flower and garden show. Happy anniversary!! So far, I like all of it! Keep it up—PLEASE! I’d say gardening interests me most, but I know a lot about that, so I’d say on your site your food articles, especially the ones on cheeses are my favorites. In fact, I found your site by googling for a mozzarella recipe! I love this idea of cheese making. I’ve been reading quite a bit these days about it & just (semi) begged a friend to do this…winning a kit would make it that much easier. Thanks for the chance! The recipes, especially the cheese ones are great. I like the gardening articles, too. The gardening and recipes are top but I have enjoyed all three.Thanks! Love everything but especially the garden info! I enjoy all your articles on gardening & your receipes. As a new subscriber, I was attracted by the gardening tips. Having discovered your other topics I can not choose a favorite. Thank you for posting all of the great information. Happy Birthday…I am so glad to have found your site. It is very informative and I like it for all three of the reasons listed. I already receive the newsletter and find it to be a quick and easy guide to helpful information. I have learned much already. Thanks to you for sharing with all of us. Love the gardening tips. I am a new subscriber but really enjoy all the articles you post! I have obtained a lot of invaluable tips about gardening from you and enjoy your recipes also! I really appreciated the information about Monsanto seeds to avoid when purchasing seeds, Thanks for all of your wonderful, useful information! Congratulations on your blog! I found you through Pinterest for gardening, however, I have thoroughly enjoyed the rest of your site. Great work! Ive been wanting to try making cheese for ages. I originally found your blog looking for gardening information, but I must say I love the cooking posts too! happy anniversary! I’ve only been onboard with your blog for a little while, but it is Great! I enjoy it all…Keep up the great work! I am interested in everything! I am trying to live more self sufficiently and this giveaway would be so helpful!! Thanks for the opportunity! Love it all but especially the gardening stuff. Me! Pick me, oh Random Generator!! Love that I discovered you! You have my interest in all of your articles, especially gardening. Many thanks! Happy 3rd blogaversary!!! I always find your food and gardening articles very informative. I love the gardening information!!! I just started getting your newsletter. Found you on Pinterest. Love your gardening tips and FOOD! Congratulations Kevin! Love the gardening, indoor flowers and plants, winter sowing, food, cheese. I am pretty experienced in the garden and the kitchen–but you still manage to inspire me anyway! Keep up the good work. Food and gardening!! I enjoy your blog very much!! Gotta make that mayo!! I love your website, The articles and tips are great and the recipes are a bonus! I have recently found your blog and am most interested in gardening and food. Happy anniversary on your blog! I am trying gardening for the first time and your blog is a great help! LOVE your site, love it all. I love the cool food ideas. I can’t wait to make my own english muffins. Congratulations and please keep on going. I enjoy the gardening and food the most. I’m watching my milk jugs for the sign of life. You were the inspiration for my winter sowing. I’m fairly new to this website but I enjoy the gardening and food sections the most, so far. I always look forward to what new things you are posting. Gardening and the recipes. Thanks! Can you help with blackspot? Funny! Cheesemaking info is how I came across your site! I’d love the kit! Food and gardening!! I love learning about the food, and also the gardenimg. You have so enlightening. Peace. just discoverd your blog while reading about the seeds?seedlings owned by monsanto!Valuable info! Happy anniversary!!! I enjoy the gardening information, Thank you. Also, didn’t know one can make cheese at home.. still have lots to learn. I enjoy every topic of yours. Happy anniversary! Often inspired by your posts on gardening and food. Thanks! I am new to a Garden for the House and have fallen in love with it. I also love cooking. I look forward to learning more about them all. I chanced upon your website a few months ago, and the first article I saw was on how you got rid of your weeds with vinegar. Since then, with interest I follow what you have in your newsletter, and enjoy all your articles, especially your foodie ones. I also follow the mentions you make of chemicals, and what they really are, as opposed to the claims the company make of them, and your writing on roundup was most appreciated. I couldn’t see how it could possibly break down in four or so days like it was claimed! Congratulations on your anniversary, and well wishes for many more to come. Cheers. I enjoy all of your articles… no way could I choose just one. I have read many of your articles in various sections and find them very valuable, thanks. Gardening is my favorite. Thanks for a great blog. I found it two weeks ago and had to subscribe. i love everything you cover!!! Happy Birthday and many more to come, I get so much from your site, and have learned to make many of my own basics such as yogurt, sour cream, and also your garden advice is wonderful. I have only received a couple of your newsletters and have loved them. I am especially interested in Cheese Making and Gardening. I would have said I enjoyed food and gardening… but I just read your silver polishing article and now I’ll have to say all three! Really fun blog. Can’t wait to read more. All three; definitely all three. I love digging in the soil! Your milk jug seed starter project inspired me to start my veggie seeds in the cold weather. It’s working!!! I’ve only been subscribed for a short time, only a couple of weeks, but I’m interested in everything you could say. My husband and I have five acres and are growing most of our own food, which I love to cook! And we’re slowly moving off the grid, so we love finding others doing the same and sharing their knowledge. That’s why I subscribed to your newsletter! Gardening and food – my panacea! Love the blog. My favorite posts are about food and gardening. Keeping my fingers crossed for the kit. Thanks for all you do. I love that I came across your blog! Great topics on food & gardening. Thanks & congrats! I love all of it. The gardening, food, and domesticity. I enjoy it very much and it’s inspiring and helpful. 🙂 Thanks! I am interested in gardening and anything that makes life on the homestead more interesting and diverse. Congrats on your anniversary! Live the gardening info. Just transplanted my beautiful winter-sown peas!!! Thank you for the love you put into your site. I like the garden topics the best but love all your posts. Just discovered you recently and immediately signed up for your email. Got the first one today and discovered this great giveaway. Mmmmmm that mozzarella looks fabulous. Happy 3years of blogging to you! I subscribe and I love the food and garden – really though all three are great! Happy Birthday and congrats on your blog. Thanks for sharing with us your passions and pleasures. I enjoy it all! There is no one “favorite”…I love everything about “a garden for the house”…thank you! Congratulations on your anniversary, Kevin. Thanks for providing a very valuable service to those of us who wish to learn all we can about being self-sufficient. Your blog is great………all aspects of it! I signed up to receive your newsletter some time ago, and look forward to learning more! Very interested in organic gardening. Just joined but looking forward to gardening helps and inspiration and food ideas! Ready to check out the items highlighted in this email. It looks fascinating. I just love your website!!!! It has so much info. I just planted 24 milk jugs of herbs and veggies this month and they are sprouting like crazy. Can’t wait till next month for tomatoes. Thanks for such a great website and congratulations. I love all three. I am recently laid off and need all that info on food, gardening, etc. My second e-mail from you was on making Mozerella. I’m looking forward to making Mozerella sometime soon. I just joined a couple of weeks ago for the gardening but I’ve been reading all around your blog. I absolutely LOVE your house and what you’ve done to it. A Victorian is my dream house! I’m so glad you have the resources to bring it back to it’s original beauty. I’m so glad I found your blog. I enjoy all if your topics very much! I really love all three and am grateful to have found this blog. I never was a blog “person” but after finding you I am a changed woman! Thanks for all you do! I really enjoy your posts – I am most interested in your advice on gardening! I took your advuse and ordered Summerhill seeds thanks . Today I’m getting my plant mixture and seed trays. You are a cool man. I love all three topics…….. wondering if you know the answer to this question, since you’re giving away a cheese kit…. I’ve noticed a big move lately to vegetable rennet, and wondering what that’s made out of…… and if they are gluten free? 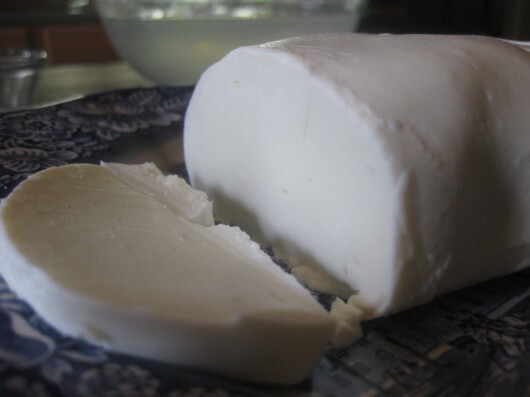 I’ve been limiting myself to chevre made with kefir till I find out…. Love this blog! I thoroughly enjoy all the articles, tips and insight, but have to admit my favorites are the ones concerning gardening and food. Thank you for sharing your knowledge. Keep up the great work! I found your blog when I did a search on winter sowing. I’m happy to report I followed your directions and my cool spring crop is just peeking through the soil! I havent been around long but I loved seeing your home & reading about all that you’ve done to it but i think I originally stopped by because of the gardening..
subscriber-I like all the posts-I really enjoy your blog! I signed up for the gardening help but always seem to read the food posts first! So both are my favorites!!!!!! I’m a subscriber to the newsletter and I love all aspects of the blog. Congrats on the 3 year anniversary. I am very excited about gardening, especially gardening without all kinds of harsh, man made chemicals. I also have a house full of plants. Love to hear great ideas on planting, harvesting, and cooking veggies. Cheese and yogurt how-to’s have been excellent. Thanks. Always looking forward to your newsletters and posts! I guess my favorite topic is…hmmm… too tough to decide. Everything you do is so interesting, creative and wise. Hope you have a garden tour sometime. Happy Anniversary! I’ve only known about your site for about a month, but I’ve learned so much–just in time before I ordered seeds for my garden-to-be, I’ve passed along the vinegar tip for weeds, and the english muffin recipe.. Can’t wait to see more, thank you for sharing your knowledge! I just discovered your website and love it! I always like to read about food, or course, but gardening and decorating as well. Your Blogs are great and I look forward to each one to see what you come up with next. The Gardening and food are my favorites and also loved seeing all your posts of your beautiful home. Thanks for all you do! Just found your site about a week ago and I love it, Thanks! Love all 3, but Gardening and Food are my absolutely favorites! I love it all. Thank you and happy birthday. This far I can’t say one is better than the other. I enjoy all 3!! Keep up the wonderful articles. Congratulations!!! Three years and look how you’ve grown!!!!! Well done friend!!!!! I’ve certainly learned a lot from you- keep it coming Kevin!!! I can’t believe you’ve only been at it for three years! you do such a great job on all topics, cheers! Love the posts about gardening and thought provoking questions. Would love to win the cheese making because we are getting goats this summer! Gardening information is what I enjoy the most! Love to hear more about herbs – growing them and using them! New to your blog & loving it. Trying out the Greek yogurt this week! I am new to your site and am enjoying all three topics. Congratulations! I just love all the gardening wisdom. And I am now inspired to make cheese! FOOD and GARDENING!!! You have some really great ideas and since I am in close to the same temp zone almost all works for me. I want to landscape the back yard this summer and I will be looking here for help and ideas. VERY small yard, VERY small patio and NO privacy. I found you with the gardening, but also enjoy the food posts! I stumbled on this site while searching for some herb information. My herb info was supplied and as a bonus, your site has continually provided a wealth of recipes, gardening tips, and practical knowledge. I can’t choose just one part of your site/newsletter that l enjoy most! Happy Anniversary, I love your blog! My FAVORITE posts are about gardening, but I do enjoy a mix of everything. Just joined your blog and newsletter a few weeks ago. AMEN!!! There isn’t anything that I don’t love about all the areas you cover. As far as I am concerned they are all related in a vertical and horizontal kind of way. Even if I can’t do everything that you suggest, just reading about it makes me happy. It is like a piece of heaven to me. Thanx. I like your garden tips, although not all apply to my Southern Calif garden. But it’s fun to see what’s going on in another part of the country. I also like your you “domesticity” ideas. I’m inspired to start making yogurt again We made it daily in India (Peace Corps ’66-’68) without the aid of thermometers, ovens and the like. just stirred newly boiled and slightly cooled milk into the old jar we kept it in. And it sat out overnight. Well, actually it sat out all the time..We had no refrigeration! Thanks for your great info. Love the food and gardening information! I’m new to your blog. I followed a link from a friend! I’ve been reading for the past few weeks and I’m enjoying your gardening tips and your food posts. I’m purchasing raw milk regularly and I’ve about gotten up the courage to try my hand at yogurt making! I came across your blog recently and I love it. I like the food articles first then the gardening. I’m hoping you do some articles on preserving garden produce. I grew up on a farm in Iowa and my Mom and I canned and froze everything from our garden plus fruit that we bought by the lug. We didn’t dehydrate so i need to learn more about that. Keep up the great work! I hope to make cheese soon (hint)! Love your blog/newsletters and could not possibly select the sections I like best, it is just wonderful, thrilled I found it. I am just starting to make cheese, I am in the “collecting equipment” stage. This kit would come at the perfect time. Love the gardening and food posts! I grew up in a family who always made our own cheese — would love to win this kit! Happy anniversary, Kevin. Well I have to say that I enjoy all your posts. Food and gardening are my main interests but I have really liked your renovation post just as much. Keep up the great work and wishes for many more years of happy blogging. And, yes I would love to start making cheese. My favorites are gardening and food! Have a happy day! This is such an fabulous site and newsletter. I first became interested when learning more about how to find seeds, gardening GMO-free and more naturally. Plus, you have so many EASY to understand gardening ideas, tips and lessons. Then I discovered awesome recipes, all kinds! I can not wait to try more of them. I have already shared your page with friends, because it is great sharing about self sustainability – which your topics fit into so well. To answer your question? I think all three are the most interesting to me. Thanks so much for sharing your bounty of information, to inspire me and encourage me to be more active in caring for my own life and the life of others with these accessible information. What a big help! Absolutely love your garden posts. You are so practical and artistic! My favorite posts are about food and of course gardening. I recently found you when on a search for non-GMO plants for my container garden. I’m great full you are here. I can’t wait to get your newsletter every Sunday. Cheers! I would like to be entered into the cheese kit giveaway. I am alrready a suscriber. How do I enter? I’m new to your blog – was introduced recently by a friend. I am most interested in your cooking and gardening posts! Love everything about this site, especially the pictures. Cheese section was a wonderful surprise, I’m making cheese now because of you, Kevin. I’m subscribed to your newsletter, and I enjoy all your topics. I thank you for the wonderful give away, I’d sure love to win the cheese making kit, please put my name in the hat. I love the gardening tips and the recipes! Happy Anniversary!! I wish I have found this website 3 years ago, I would be a pro at “winter sowing” by now. If I had to choose one favorite, it would be the gardening. But since I don’t have to choose, I can enjoy the entire website without any guilt! Keep on educating us! I love it. I love your site! And .. gardening & food, those are my choices. Love the garden tips. Your gardens are beautiful! I love your gardening posts! I’ve ventured into more veggies for my organic garden this year so your advice is very helpful! Kevin, I just started receiving your newsletter about 6 weeks ago. I am delighted by it! I think it is the perfect length (short) so folks can glean what they are interested in easily and click through to learn more. I think it is very engaging; you probably have a LOT of click-thrus. Your pictures deliciously display the beauty and bounty of Nature. And your writing portrays your enthusiasm of your topics. I love it all! Thanks for sharing what you do so well with us! I only found your site a few weeks ago and subscribed right away. I love all the articles — I just wish you wrote more! 😉 I’ve been living in Costa Rica for years and ironically, gardening and “real food” are actually pretty challenging there, so it’s actually a delight to be back in the states and have access to things like cheese-making supplies. Looking forward to doing some gardening this summer too! Keep up the good work and keep posting! I am new to your blog and love it. I have chickens and wondered if you ever blog on using chicken poop or compost tea in the garden? I have fodder for you if you need it. I have 11 hens and they are a constant source of amusment (& eggs!). Let me know if you need images of Pecky Sue, Cupcake, Nugget or any of my girls! Thank you for your useful information. I look forward to what comes next! Definitely garden and food..You ROCK!!! Happy 3rd Birthday on the Blog. I love the gardening topics, oh and the food too. What’s not to love about eating healthy from your own garden? Would really like to have the kit to start making cheese as well. Happy Spring! Three years …a long time in blogging land and a lot of work! Thank you for starting this one and for continuing it! Will you be posting some more house photos (around the outside too) and are you planning any expansions in the house or the gardens in 2012? 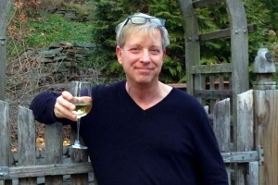 Happy first year Kevin and more to come…I am a recent follower who joined because of gardening info but find your blog very informative and covers many of my interests. The mozza recipe was a wonderful gift. Keep doing what you do. It’s marvelous! The gardening, always. But I love the house tours too! I found your blog through Pintrest, and would definitely say ALL THREE!!! Please pick 173, you random number thingy!!! Kevin I love all three! Thanks for doing this website! I’m new to your blogs too and get your newsletters. I need all the info I can get my brain to wrap around with all this gardening stuff. So far all of your posts have been very interesting for me. Gardening and the peeks inside your beautiful home. You inspired me to start my own blog. What a great giveaway! I’m interested in everything. I am trying to live more self sufficiently and thIs prize would definitely help! I love your gardening tips and of course your delicious recipes!! Just recently found your blog and subscribed, but I am loving all the information you provide. I’m finding all the topics equally informative. Keep up the great work! I have been reading your newsletter since last summer when all the ladies in my Tai Chi group were talking about your tomato pie recipe (delicious). I enjoy all of your tips, food, garden and house and your recipes are all fun to try. I would love to try the cheese making. I love your newsletter. I am an avid gardener and thank my friend Leah for forwarding your post about weeding with vinegar. I had forgotten that tip and am delighted to be learning from you. Came across your site just a few weeks ago. Have enjoyed ALL the information and inspiration!!! Keep it coming! And a very Happy Anniversary to you. Happy Blog Birthday and thank you for sharing the presents with us! I’m an email subscriber and love everything! Gardening – especially the Winter Sowing pieces. Happy anniversary! I’m so glad I found your blog – it is full of great information. I especially like the gardening info and the food info, which is not to say I don’t enjoy the posts about other areas – I am so glad I subscribed to you! It was your article on vinegar for weed control that hooked me!! Three years! Congrats! I love it all. Look forward to my weekly newsletters. I’d have to say my favorite articles are on gardening, gearing up right now! Thank you so much for all the wonderful information. Congratulations on your third blogging anniversary! I’ve just started my own blog at http://www.midihideaways.wordpress.com – hope to be still enjoying it in three years time!! I really enjoy reading about gardening, and also about food – keep those posts coming! I am interested in vegetable gardening & food, the ‘from seed to skillet’ approach. Awesome give away and Cheers to your Birthday! I like the food the best, although your vinegar with weeds was priceless. Making cheese is as easy as you say? I want to try it! I’m a permaculture design enthusiast, so gardens are my first choice. I’m actually going to a cheese-making evening in a couple of weeks at a friend’s place, so this would be really handy! I’ve been fermenting over the half year, making some remarkably tasty and nutritional stuff. But, the very best was an accident I have not, yet, been able to duplicate. This accident was a home-made almond milk cheese. Both the texture and flavor was pure brie! Try after trial, I haven’t been able to replicate it. So now, I am of course on a cheese-making bent. Perhaps I’ll be the lucky winner! Congratulations on your three-year old blog. I am a fairly new reader and have been catching up as quickly as I can. As for my favorite aspect … finally, a blog that address many of my loves. Now if you were also a painter/writer covering those bases too, why I’d think you were my long lost brother. Thanks so much Kevin! I love your gardening tips and inspiration. We are new gardeners in Texas. This year will be our 3rd year to garden and I have been inspired by your blog and email newsletters. Thank YOU! All of your information is fantastic, love the recipes. Photography is so inspiring, great blog. Thank you so much! Gardening is what drew me to your sight, especially indoor gardening. I’m a floral designer by trade and I’m always looking for simple and easy ways to do things indoors with plants and such. Thanks for contributing such a useful blog! My favorite posts are about gardening and food. I love both cooking and gardening–well, really, not so much the work of gardening, but the rewards! We have 6 new raised beds for this year and I have a new sink in the garden, so I’m ready to go. I love scones and muffins, but am tring to eat more veggies, so recipes for veggies that taste like dessert would be great! I also believe in the good fairy and Santa Claus! Am new to your newsletter and I enjoying it a lot. Gardening and cooking are my passions! I came to gather information about gardening …. and found more to enjoy and learn from than I had imagined! Thanks for being such an enjoyable resource! I’ve been thinking about making your cheeses … the kit would be the perfect nudge to make it a reality! I am already a subscriber and I love your newletters, without a doubt it is my favorite of all the newsletters I subscribe to…I love the food and garden ideas and recipes…you make it all seem so much easier. Thank you and Congratulations for the three years of informative information you have supplied me with….I love it…I would love to win the kit and start to make cheeses…. Your current mix of ‘stuff’ is on target! I love all the subjects you cover. I just recently found you blog and have learned quite a few things to help me with gardening. I am going to try spraying vinegar on the weeds around my garden areas. This will be a welcome replacement for that nasty weed killer that is made by Monsanto. Happy Blog Birthday! Gardening! Your post “Keep Monsanto OUT of Your Veggie Patch” really struck home. I also like following your updates on the home restoration – you’re doing such a beautiful job getting it back into condition. You should be very proud of yourself! You give so many helpful ideas, gardening is my thing and I love reading all the hints and useful ideas. Thanks for the news letter. I love everything about this site, glad I found you! Food? Gardening? Domesticity? Definitely ALL 3! Your newsletter is always so informative and fun and I love the pictures! Keep up the good work! Gardening! I think I found your site while googling vinegar as weed killer. My favorites are gardening and food! I love your gardening blogs! I’m just recently discovered your site and love it. I like all the different topics on your site. I would like to see some articles regarding DIY greenhouses and vines. Gardening! Love the food segments too, but the garden advice is why I read the emails 🙂 Congratulations on your three year marker! Love all three, I am a passionate cook and love to pick ingredients from my garden! The home tips just bring it all together to make my home a place of the heart. I am enjoying the food posts, but I was driven to your blog because of the gardening posts. I think Pinterest is a fabulous tool to drive the growth in your subscribers. Thank you for taking the time to write! I have become a new member here and I LOVE THIS SITE & NEWSLETTER! So informative and great ideas and tips. Please enter me for the cheese-making kit. I am a teacher of Gastronomy at a local high school and our class made your cheese and yogurt…the kids LOVED IT! You are touching & helping mold many lives, young and old–many of which you aren’t even aware!! Keep up the good work! I’m an e-mail subscriber and my favorite topics are gardening and food. You have such a unique website – like none other that I have found. 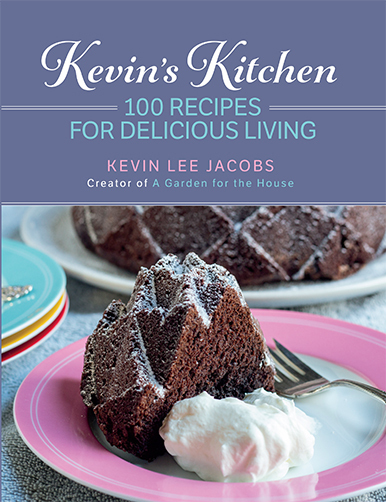 Love the photos, the recipes, the gardening…ALL OF IT!!! HAPPY ANNIVERSARY and keep them coming. I just found your blog, so I am still looking around. I love to cook, so I guess my answer would be food. I am hoping to start a garden next spring too! Happy Birthday! I was so happy to find your blog as I love gardening and haven’t found any other good blogs that talk about it! Also, we LOVE homemade cheese. LOVE LOVE LOVE. I am a brand new kiwi and gardening in the Southern Hemisphere challenges all my instincts and suppositions about gardening. I am using all the help I can get and I love the challenge. I love everything that you post. Thanks and chapeau to you for your 3 year anniversary! I have only been apart of this website for a short time, but the information I have absorbed on gardening and on food is funominal!!!!! I have been doing the winter plantings and I made CHEESE!!!! I was sooo excited….Beautiful mozzerella!!! Having only discovered your site this past week I have to say that so far there isn’t a single part of it with which I am not enchanted! I feel very much at home here, despite living on another continent 🙂 The cheese recipes has opened up a new world to me and the garden, particularly the fact that I was already planning with a perma-veg garden and subsistence garden in mind, is simply wonderful. I like your gardening and food posts best… enjoyed hearing you speak at Spring Garden day last Saturday! What interests me most? Food? Gardening? Domesticity? …I’d say all three, but not in that order. Food first. My Dr. recently advised I go Gluten Free…so I’m trying to clean up my act and get back to eating right. Domesticity next. Always looking for new ideas. Gardening last. I’m not very good at gardening, and my yard gets little to no sun….but I’d love to have a small veggie garden…..
Congratulations on your anniversary. I recently subscribed to your newsletter for the gardening information but I’m loving the food too. I’m always interested in what you have to say about all three topics. I’d say the fact that you don’t limit your blog to only one interest is its appeal to me. Also, I love your pictures! Hard to play favorites when I like everything you share, but it had never occurred to me to try making my own mozarella until you posted the directions. Congratulations on three years of blogging. I only discovered you recently but enjoy it all. I enjoy your newsletters very much I am interested in all your topics but especially enjoy the food and gardening. Happy third anniversary!!!!! Gardening and food is what brought me here. My main crop is Okinawan Sweet Potato and I use it mostly for an Okinawan Sweet Potato and Haupia pie. So yes, gardening and food. I joined for the gardening but the food portion is great also. I love both the food and the gardening sections of your blog. In your food corner, the recipes that you post look great and I would love to try making cheese. Also in the food corner, I am happy to see your posts educating people about the dangers of GMO’s etc. In the gardening area, I am eager to learn more about vegetable gardens and appreciate your posts on that topic. Thanks for all of your inspiration!! I like making food from scratch and to learn how to garden. I hope to learn new things from your page. I’m new as of this past week but I am looking forward to gardening info and ideas! Thanks for being here! I just learned about your blog a week or so ago through our local newsfeed. I love everything you write about! I’ve enjoyed reading everything on your blog! I love gardening despite my brown thumb. Hopefully by reading your blog I can be a much better gardener this year! Oh it’s your garden that I love. I even have a picture of it from your website as my desktop picture. I consider it my inspiration for my 2012 garden. Thank you!!!! I’ve recently signed up for your newsletters and have learned so much in each issue. I do like your gardening tips and food articles. And love your restoration of your home! Love all you do- especially the garden and food bits!!! Happy Anniversary. I just found your site and it is very informative and helpful. I used to be a big gardener and canner, but with kids grown and moving off of the farm,, the gardens got smaller and smaller until no garden last year, I sure did miss it,, so again this year I am ready to go. My hubby and I planted seeds in milk jugs for winter sowing, which is new to us and we also purchased a few growboxes. I love to watch the daily growth of the garden and you can’t beat the taste of a home grown tomato. Thank you for your site. Holy Cow! Do you have a following or what?!? Thanks for all the inspiration, ideas and fun! I love your gardening section. Living in California we get to garrden year round, so I am always interested in ideas for my garden. I am new to your blog. Happy Birthday! I am looking forward to reading more about gardening and food. Thank you for your site. Subscriber and my favorite is gardening!!!! I’ve only recently discovered your blog and I’ve been enjoying everything. Love your GARDENING ideas the best! I enjoy all the topics you cover. By the way, my winter sowing project was a huge success. Thanks! And I will keep you posted on the straw bale garden. I’m interested in ANY homesteading topics. Although I’m new to your site, it seems right up my alley! Three years! And I just found you about 3 weeks ago! Congratulations! Right now, my main interest is on gardening, but through the winter it will change – & I’d love to try making that cheese! Thanks! I think all three topics interest me!! And my son has been begging me to make cheese….so I would love to win! Thank you Kevin for all your helpful advice. I just joined the email list within the last month and loving it. I’m in Wisconsin and have never made my own cheese or yogurt before! After reading about it on your site I am going to try win or lose I think it would be fun to try. I love cheese.. raw, organic if I can get it! Looking at 3 feet of snow still but starting seeds this week, yippee! I was first won over with the beat weeds with vinegar story but just couldn’t go away ~ love love love the info on gardening and foods ~ thank you!! I love the gardening advice and the recipes, but I think I love coming to the site for the joie de vie. Thank you! I’m a relatively new follower, but I’m really enjoyed your gardening posts, as this is my fist year having a garden, and I’m looking for all the help, tips, and information I can get! sustainable food gardening, self sufficiency and how to use grown foodstuffs in innovative ways. Loved the idea of using vinegar to combat weeds! Yes, perchance it IS all three. And the answer to the first question, who’d like to win, that would be ME ME ME, of course! Congratulations on your third anniversary! Love your blog. I just can’t choose between food, gardening, and domesticity. I look forward to all the news from your site. Thank you for doing such a wonderful job! Great giveaway! Have never made my own cheese and would love to try it! i am the most interested in Gardening and then in how to use the foodstuffs to the best advantage which, of course, then goes to Cooking and Domesticity! Haha! Really like you gardening ideas & tips! I signed up for your newsletter for the great gardening tips but have been pleasantly surprised with the great food tips. So I would say the garden and the food both! Congrats on your anniversary. I also signed up for gardening tips but enjoy the rest as well. I’m not in good health and have to go on an almost NO salt diet. I LOVE cheese and you would not believe how much sodium is in store bought cheese. This would be a God-send for me!! I’m making the Greek yogurt tomorrow, had to wait for someone to take me to the store to get the milk and plain yogurt. Can’t wait to taste it!!! Sill be so good with fruit. I love it all, but gardening is what I love best….I do enjoy the house tours..Thank you…. I love gardening, permaculture, becoming food self sufficient, dining out, making my own cultured foods, beer and wine. Thanks for your blog! I just found your blog, and I love it! Gardening tips and food are my favorite posts. Perchance all three?? why yes, of course. Congratulations on three years…and best wishes for many more! I just recently found your blog and newsletter & I’m enjoying your posts so much – thanks! I vote for “Perchance all three” – nice balance of subjects and inspiring pictures + the recipes or details to make it happen in my own home. Happy Anniversary, Kevin. I enjoy all 3 topics! Love the blot. I workstations being domestic but am beginner gardener so I would pick that! I love learning about all three topics. I found you a couple of weeks ago and signed up for the email notices then. Thank you! Kevin, is there anything you CAN’T do? I am amazed at the diversity of your talents. I have to say that gardening is my favorite but I really do enjoy all of it. Thanks. Your tips are very useful. Congratulations! I like reading all of your posts!! Keep doing what you’re doing. Happy Anniversary Kevin, what a wonderful achievement for you. I am so enjoying your blog and newsletter. I vote for food, gardening and domestic as I am very excited about sustainability and open to all new things. Well done! Happy birthday to you! Still wondering how you ended up in my email but I’m so glad you did! I have enjoyed everything I’ve read and what really interests me are the gardening and food articles. Keep up the good work! 304 comments already!! I had to skim. I usually read closely as you have gathered a great group of followers who either ask questions I want the answers to or offer great suggests themselves. I came to the site for gardening tips. I am particullary interested in food gardening so I love the suggestions of ways to use your garden produce and other food producing tips. Thank you and Congratulations. I would love to win the cheesemaking kit but just finding this site makes me a winner. I love your blog! I’m most interested in all your advice on gardening. I’m actually reading the newsletter each time now for about 5 of ’em. I especially like the gardening and recipes…mozzarella has been on my list for a looooooong time…..I’d love to make good use of this kit!!!!! As a brand new Gardner I covet those topics the most! We started gardening out of a need for more organic fruits and veggies in our life but didn’t expect the sense of family and closeness it provided. We are still just starting this new adventure and thank you so much for all the help and inspiration thus far! I am relatively new to your newsletter and its like having a friend for coffee every week. Thanks for all the time and effort you put into it. I guess I like all the features. The cheeses have revived my spirit, the gardening have given me confidence to try it again and I love all the wonderful things you have done to the house and the way it is documented. Today I shared it with another newsletter I receive Earthineer and have had a couple of comments from other members about how much they like your recipes so whether you wanted it or not you just got spread out more. Love your blog! I look forward to it and read through your recipes as well as your gardening posts. Thanks for all of the great information! I’ve only been following for a month or so – Congratulations on your anniversary. I just joined! I am always looking for new ideas about gardening, so I am enjoying what you offer here. Mucho Gusto! I like everything you write about keep up the great work!! Gardening is what drew me first to your blog, and then I found myself trying your recipes!!! I treasure that you shared the changes you’ve made to your home with everyone, and find myself inspired to try this or that based on what you do. In addition, thank you for showing healthier alternatives to certain chemicals and manufacturers. You are helping me be a wiser consumer. I appreciate it. Most definitely all three ! I love all of it too, great blog! I really enjoy how accessible you make all the cooking and gardening tasks. Suddenly I find myself wanting to learn how to make cheese! Thanks for that boost to the enthusiasm. Good Morning & Happy Monday!! I love all 3 ‘depts’ of your website A Garden For The House!!! Your BLOG brought me here though, searching for ways to annihilate a massive overgrown azalea grove which happens to be infested with wysteria vines….UGH!! And am well on my way, they are all cut down now, close to the ground, I am going to spray them with gobs of vinegar, wait a bit, and then the stump grinder man is coming to do his thing :-). Will cover the entire area with shredded newspaper or something similiar and build a raised bed above the paper. Keeping my fingers crossed!! My favorite topics on your blog are gardening and garden design, oh, and recipes! Thanks! It’s hard to say which one. I love all it. Planning to make a raised bed. I’ll let you know how it turns out. Love all of your ideas, but garding is my favorite! I found you as a garden site, but I love it all. I want a “French Baguette” for breakfast, right now. Recently found your blog. Absolutely wonderful!. I enjoy the gardening along with the food entries. I will be an avid follower. Congrats on your anniversary and success. Gardening, gardening and more gardening! Like the rest, but adore the gardens. Well, all 3 are great, but gardening first, then food. Unless it’s cheese, being a WI girl, I LOVE it! I came here to make my African Violets happy again. It’s working. Thanks. Happy 3rd anniversary! I found your blog while looking up gardening info. I had no idea you’d have so much more fantastic info! I love it all-gardening, cooking, home. Happy Anniversary! Love it all. Happy Anniversary. I’m new to your blog. And love all of the help I get from it. I love all of it, but gardening and cooking the most. Found your blog aftera friend posted about Monsato buying up seeds. We just bought our first home and I am interested in gardening and design mostly, but there is so much great info tucked in other places! Thanks! I like the information on how to make your own food instead of being dependent on processed food. I also like the gardening tips. Anything that helps me be self-sufficient and free of man-made toxins and chemicals is a good thing. I like your gardening tips; particularly the information on garden design and planning and inexpensive ways to improve your garden such as uses for the wood ash, free mulch, etc… Thanks so much and Congratulations on three years! Found you through a link on Pinterest. I, like many others enjoy the food & gardening tips. In Northern MN we just said good-bye to the snow & looking forward to seeing some green!!! I love getting your gardening tips. I’m trying winter sowing for the first time this year! I signed up for the gardening tips, but am finding I love all the topics. And I find I use more food ideas so far. Food! Food! Food! 🙂 Oh, and maybe gardening too, since we do that. Gardening is what brought me to your blog and newsletter ~ all the rest of what you have here is what is going to keep me coming back! Haven’t had the time to explore all of the information that you have but will have fun trying. Thank you for all of the helpful information and beautiful photos. I’m new to your blog and have liked everything I’ve seen/read! Congratulations on year #3. I was introduced to your site by a member of our organic coop re. your write up on Monsanto. I too am repulsed by the corporation’s unethical practices but that’s another topic. As I “strolled about” your lovely garden I saw beauty, order and a lot of love, just my kind of garden. Visiting your site is like visiting a friend, one looks forward to returning for another visit. The photos, topics and write ups are most enjoyable. Looking forward to many more celebrations. I found your blog a few weeks ago and have spent endless hours reading your posts. I love all of your topics but, my heart is in the dirt, I love the gardening topics!! I get so inspired!! Happy Anniversary Kevin!!! I love all three! I would love to make my own cheese! Woohoooooo!!!! Wow, I have to choose a favourite, can I at least choose two? Gardening and Food. By the way happy blogday! I love everything about your blog! The silver cleaning tip has been my favorite to date – such a time saver! Still waiting to make the Muffins, and thanks for the reminder about not putting wood chips down as mulch! I think your gardening and food sections are what I like the best. Kevin, all the topics interest me. The gardening and food first hooked me. Now I look forward to all your posts. I’m definitely interested in making the cheese. And happy birthday – wishing you many more! Congratulations Kevin! I primarily follow your website for the gardening ~ I have learned so much and been inspired to try many new things. Your instructions and tips make me realize that ‘Yes I Can” do it too! I’m now working up the courage to start making cheese and yogurt. Thanks for everything! I’m here for the clever writing! I am a gardener and the family cook; we are vegetarian and organic, so all that applies – but there are lots of sites that blog on and on about gardening and organics and vegetarianism. Your site includes wonderful witty writing that I truly appreciate, and that will keep me signed on! I love your whole Blog!!!! I Signed up for your newsletter awhile ago. I love all three of the subjects your page covers. Food, gardening and I’m not sure what you cover on the domestic scene but I’m all about learning more and more about becoming self-sufficient and eating real food. Thanks! Happy Birthday on three years of your blog. My birthday is tomorrow also. I like all that you write about in your blog. Lots of info that I can use at home. Again Happy Birthday!!! I’m most interested in gardening and FOOD! Happy 3rd Birthday to your blog. I found your website though another on Facebook and am learning a lot about organic gardening and hope to be trying out some of the recipes soon. Thanks to you and your readers for all of the good info! I must tell you that I have enjoyed each and every post of yours! I live in a 160 year old home and so the posts about renovation are interesting to me. But I have loved the cheese-making recipes so much. Keep the recipes coming! I have really been enjoying EVERYTHING on your blog! So glad I found you! I come for the Gardening. (We are in the same zone!!) So your info is so relevant to me. But I like the other stuff also. Your blog is fairly new to me but I esp. like the food and gardening. Domestic recipes – for do it yourself – LOVED the mayo recipe! Keep it coming! And congrats on three years. I just found your site, so I’m still exploring and haven’t yet found a favorite. I guess I’d have to go with all three! I also appreciate your stating how you choose a winner. I always wonder how winners are decided in contests like this, and it’s nice to learn how it’s done in at least this case. I’ve never heard of random.org, so I had to go and check it out. Very interesting! Thanks for all the info! I am also brand new to your site! I found you through Pinterest and your post about making mozzarella cheese (my favorite). So far your site looks amazing, and I’m excited to continue exploring. There’s something here to tickle all of my fancies; gardening, food, and domestic stuff are all things I can’t get enough of! I really like the recipes. I really enjoy the gardening and the food. Sooo glad I have found this site….It is one of my very favorite. Congratulations on 3 years. Looking forward to many more. I am looking forward to trying to make homemade cheese. Thanks for a blog well done!!! I like everything! I just found your post about “Gym Credit for Gardening.” Wouldn’t it be great if all schools did that? I started following for the garden, am hooked on the food info and may yet try my hand at domesticity. Thanks for the fun tips and tricks! Love the gardening, the food is a great extra. Will try to make the cheese soon. Happy anniversary! As a long time flower gardener, I have decided to get expand into sustainability, so am putting in my first vegetable garden, as well as a large berry patch. I have canned and frozen produce in the past, so am looking forward to being able to do so again. I want to be much more self-sufficient, and was just telling a friend that learning to make cheese is one of the things on my personal to do list. I have not had a chance yet to fully investigate your website, but what I see is impressive. I’m into learning about EVERYTHING! Keep up the good work! Congratulations to you! I first introduction to your blog was a link a friend had on Facebook about using vinegar on weeds. It’s garden related, but could be food depending on the weed and the addition of a little olive oil. I enjoy all of your tips, photographs and house tour. Thank you! Congrats! I enjoy equally the gardening and the food articles. I benefit from both. Thanks for sharing. I love the recipes you share as well as all the gardening tips! I am also looking forward to the next pictoral tour of your home! I am most interested in Gardening & plants. I am a ‘new-be’ at retirement & I’m anxious to spend time with my flowers. Congrats to you & may you ‘Bloom’ on forever! I love you gardening tips and pictures. The recipes are great too. I enjoy all aspects of your site! I am anxious to make the cheese, which you have given easy to follow direction. Thank you!!!!!!!!!!!!!!!!!! Although I throughly enjoy every article – I must say the gardening is my favorite. But then again – I’m a receipe junkie! Thanks for great info! And the cheese – I want to try – would be my first atempt. You gave great details on how to make. Happy anniversary! My intro to you was vinegar on weeds – YIPPEE! Gardening & food. Thanks for a great site. Look forward to the weekly e-mails. Just found your website and there is no way I can pick a favorite. I am just inhaling it all to the best of my abilities and loving ever minute of it. So don’t even ask for my favorite. It’s all my favorite. Gardening and Food are the reason I love your blog. Keep it up, please! I love your blog. Haven’t found anything uninteresting yet! I always am partial to anything gardening, though. Bought some white distilled vinegar to try on the thistle in my garden to see just all effectively it works to get rid of them. Would love to find a “natural” alternative to Roundup. Keep up the good work! I love the gardening tips and recipes! I started subscribing for the gardening because I want to help my husband have a successful garden this year. We are also very interested in changing our eating habits and staying away from GMOs so I have been very interested in your food blogs and doing more things from “scratch”! Food and Gardening, are of most interest. Domesticity has rarely been on interest unless my parents are visiiting. My favorite blogs usually involve gardeneing, but I do enjoy reading all of them. I love everything about your blog and cant think of a single thing missing. Keep doing what you do and I promise to keep reading it all LOL! Oh BTW, Happy Blogiversary!! I love your blog – discovered via Pinterest – and I really am scouring your gardening sections. In fact – I am designing my kitchen garden in your’s image (is that even grammatically correct?) in three weeks! I am SO excited! Absolutely love your site. What a wealth of information. I love all your topics but I guess my favorite is the gardening. I have been opposed to the chemicals that we have access to in order to control weeds and pests. I remember years ago learning to make home made concoctions the help. Thank you for taking the time to do all the research and put all the information in one handy spot to share with us. Although all three subjects of your blog interest me, I have to say your gardening posts are my favorite subject. Congrats on your anniversary! I am very interested in organic gardening, holistic remedies for common ills and just connecting with like minded individuals! I love the garden photos, but the recipes are great, too! LOVE your website! Found you on Pinterest and have been actually read through every recipe you have posted! They are so elegant but easy! Not to mention the gardening tips and organic growing info that I am so thankful to find. You write in an easy to understand and fun style, I really can’t tell you how much fun I am having now that I found you! Love all of the gardening tips and the food information on your site. Just found your blog via Frugally Sustainable. Excellent info and tips!! Love all of the gardening know-how. I love everything I’ve read. Keep up the good work !!! I’m most interested in the food……however I will be trying the vinegar on my weeds in the drive. I originally came upon this site for the gardening information, but I find I really pay attention to the food. I love to garden, but I am just as interested in the food recipes. Happy anniversary! I’ve only been subscribed for a couple of weeks and I’ve been enjoying all the articles! Keep up the good work and thanks for sharing your tips and knowledge with us. Love the info on gardening…and food…and everything about the home! Thanks! Just signed up for your weekly email newsletter. Everything I’ve read on your site so far is wonderful! I too love Ricki Carroll….I recently heard about her and started making yogurt & kefir. Cheese is next! I love this website and the newsletter. I try to incorporate food and gardening–growing herbs and some veggies. Back to basics! Kevin~I love your blog, always look forward to all parts of it. Especially, your cooking (cheeses and artisan breads) and recipes mesh with my interests, your gardening (indoor and out) is inspiring, and your home is gorgeous. ps My glass window shelf Aftrican Violets in Spode creamsoups are blooming in unison. What a joy! Well, I’m already subscribed and I’d be happy to tell you that I couldn’t pick just one. I really appreciate all three categories. You & you’re work & ideas are very inspiring in all areas you put your focus on, so thank you! I love it all! I’m just starting out so need all the help I can get! Hi, I was recently introduced to your site. I was just thinking about buying, dare I say, ROUND-UP!!! I am SO THANKFUL somebody posted on FB about your Vinegar post! We bought our house almost 2 years ago on 2 acres and this is my second year trying the garden! Yeah, it got away from me and now I need to kill everything off. weeds, grass, etc…. I have 5 children so I haven’t had much time yet to explore your site. I will get through it soon! Thanks for sharing your passion!! Hope to learn a lot from you. I’m loving your gardening posts! It was a gardening tip that caught my eye but it is the entire site that keeps me. Organic gardening and fresh foods… YUMMY! I am a new subscriber and so far I love all the info. As time goes on maybe I will just be interested in certain topics but for now I am enjoying all. i love all your information on gardening, recipes, etc.. i’l be trying to grow herbs indoors this year. wish me luck. I love it all! I am an avid gardner and a fabulous cook. My hubby and I are planning to buy some property and start an heirloom nursery. Keep up the good work! I am working my way through everything on your site, but the gardening information is what I use the most. Thank you for doing it! P.S. Does anyone know how I can kill poison ivy? Some how I got into my rock/native garden, yike’s!! I don’t know how to get rid of it without killing the rest of the garden. Well of course food interests us the most, but we need the gardening skills if we’re going to continue to eat well in the future. If it ever quits raining here in SW MO, I’m going to get my container garden started, my seedlings are doing very well, can’t wait to get them in the ground. I’ve already gotten SO much material I can use around our Cottage from your happy Blog! I’m especially drawn in by your Gardening and Cooking (particularly the baking) sections! First-rate information!! The Kat in comment 445 got me hooked on your blog a few days ago, and it’s fabulous! I’m going to try the vinegar on weeds trick after the rain slacks off around here. All of your topics interest me AND I need to learn all this to keep my family of 9 afloat!! Hope I win because we eat lots of cheese!!!! your birthday–my birthday. would make my day to win this prize! i enjoy your gardening and cooking information. am still waiting for photos of your kitchen too. The gardening first attracted me to but I have tried some of the recipes and love them as well! I stumbled onto this just in time to enter the contest! I was looking for gardening tips (and I love the vinegar weed-killer one! I’d like to enter. And I’d say it’s gardening that is my #1 pick, but everything looks good to me! Not sure how I stumbled accross this, but I did fairly recently. The homemade mozz and English muffins interest me greatly, as does the vinegar on weeds. Overall. . . each category has caught my interest. I like the Food and Domesticity the best. I learned some interesting things from your newletter, thanks. Not sure which I like most, probably gardening! Reading up on gardening so we can get our first going. I am most interested in gardening and food topics, though I enjoy nearly every single one of your posts. Keep it up! Normally I’d say I love the gardening, gardening,gardening but, I often find myself drooling over the food posts 🙂 !!! Thank you for the inspiration! I love the gardening tips and if you have them cheesemaking tips. We raise dairy goats and with over 3 gallons of milk a day from the girls; cheese is very popular! Food, Gardening and Domesticity OK, OK, all three. I like the food and garden ideas and articles. I love all the posts, but food are especially fun! Came for the garden, stayed for the food. I am interested in all three. I am in the process of turning my home into a homestead. I love all things food and gardening. Love your blog! Are you kidding me? Free cheese making supply, I am in! I am so much into making my own food from scratch, I enjoy sharing my tricks and learning new ones from fellow food lovers! And gardenning seems to go hand in hand with my food loving…I am all able edible garden. Love your blog, btw! I’d love to win this!! The 25th is my birthday 🙂 It would make a great birthday present!! That would be so totally , Rockin Awesome!!!! Love to hear about the gardening and my wife the food. Keep up the great info. Anything food and diggin’ in the dirt! Happy Anniversary ! perchance, all three, however if i had to chhose just one out of the three it would be food as i love recipes and to cook. So excited to find your blog, just planted some veggies in my garden & getting my beds ready for warmer weather. A friend shared your 30-minute mozzarella post and that got me hooked! Looking forward to perusing more of your posts! Of course food but have been thinking lately about getting back into gardening. BTW how long will vegetable rennet last? I love your blog, and I love the information about gardening the best. Thanks! I love your blog! Great info and I love it all! Thank you all for entering, and thank you also for the happy “blogaversery” wishes! The winning comment number was selected by http://www.random.org this morning. The author of that comment has been notified. Well, I didn’t win the drawing, so I BOUGHT a kit! I’m so excited! I was convinced when I discovered that the kit contains VEGETABLE rennet, not animal. I’m a vegetarian, so even by-products make me uncomfortable. Thanks for turning me on to such an awesome find!